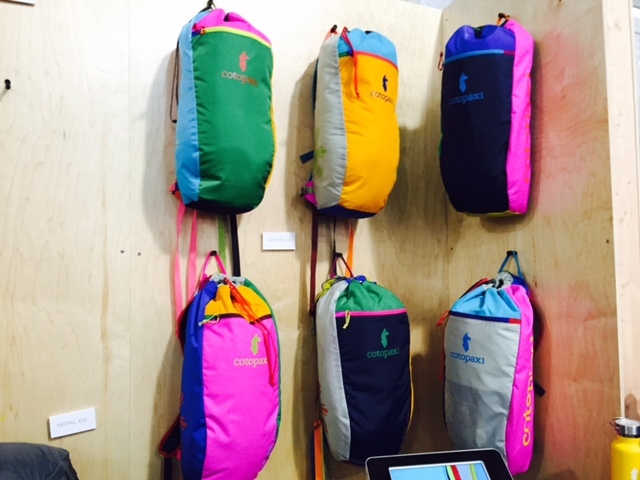 Cotopaxi “Gear for Good” was a definite great find at the Outdoor Retailer Summer 2015 Market. What led me to their booth were two llamas carrying a colorful load of backpacks (the Luzon Del Dia 18 L $49). Guided by two friendly individuals, the llamas provided photo opportunities for bystanders eager to post something exotic to their social media networks. One of the llamas liked to graze the green sprouting through the asphalt and I was so smitten by his noble look that I started to imagine a trekking trip with this friendly companion. 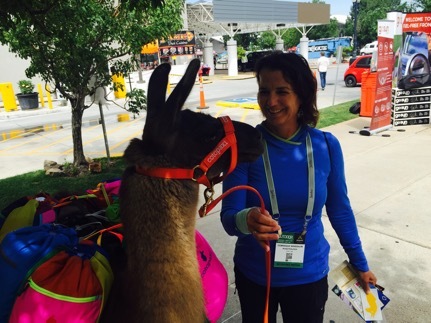 The llama embodies Cotopaxi’s core values: “adventure and helping those in need”(as described on the company website), and promotes the Cotopaxi brand as an eye-catching logo to be proudly displayed on one’s shoulders. Cotopaxi, a Utah company founded by Davis Smith, is less than two years old and operates with a model of doing good while manufacturing high quality and reasonably priced backpacks, as well as apparel such as t-shirts, fleece and jackets. Backpacks are manufactured in the Philippines in a working environment that strives to provide sustainable and equitable wages for its employees. Cotopaxi extends its sustainable and innovative approach to its whole line of production, such as making backpacks with repurposed material and by empowering its employees in creating unique color scheme backpacks (The Luzon Del Dia line). Scraps are re used in other products and packaged by partners to create physics experiment kits for schools. Through its socially conscious approach and philanthropic business model, Cotopaxi carries a good message – Gear for Good – that is worth spreading and emulating. As I visited the booth at the OR Summer 2015 show, I was fortunate to be guided through the Cotopaxi product line by Lindsey Kneuven, who recently joined the company as Chief Impact Officer. As Lindsey described each product, she would inject information about the sustainable approach, social responsibility, and innovative elements that went into developing and producing the product line. Meeting with Lindsey was testimony to Cotopaxi’s core commitment in fostering innovative approaches to philanthropic giving and community building while producing and marketing outdoor products. Cotopaxi’s line of backpacks falls into two categories: technical and lifestyle with some crossover. 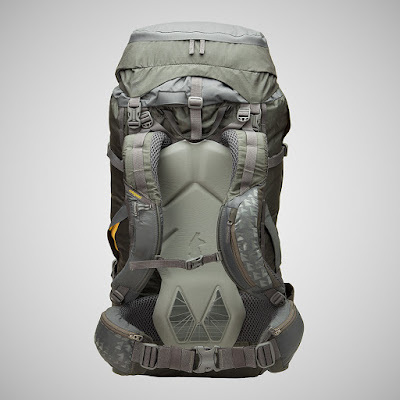 On the high end spectrum of technicality and capacity is the Nepal 65 L backpack, priced at a very reasonable $ 229 for a full blown technical backpack. There is a wide selection of technical backpacks to choose from: backpacking, hiking, or climbing. The Luzon 18 $30, shown below, will come next season in a two color contrast fashioned to boost your mood. It is a snug backpack with a minimalist approach, yet it is designed to carry a hydration bladder and has a technical shoulder harness with waist and sternum straps. It is ultra light with a simple drawstring at the top and an easily accessible zippered pocket in the front. The Luzon is a multifunctional backpack that can be worn as a hiking daypack, in an urban setting or while traveling. At $30, the Luzon is affordable in a very good kind of way! This specific by way of their socially informed tactic along with philanthropic structure, Cotopaxi includes a very good communication – Items forever – that may be worthy of scattering along with emulating.